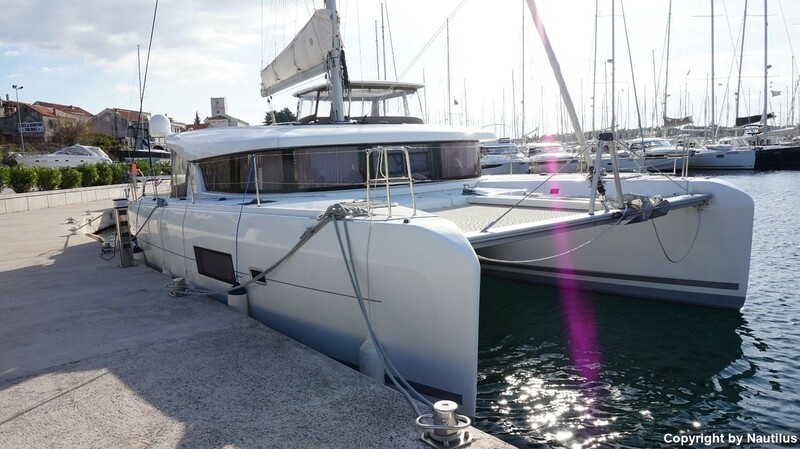 Catamaran Lagoon 42 is available for charter from charter base in Sibenik (region Dalmatia). 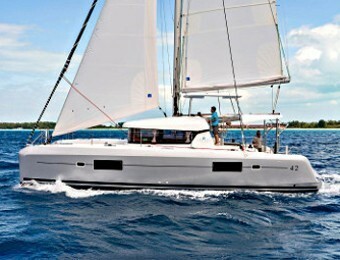 This 12,80 meters long catamaran is perfect choice for a group of up to 12 persons. Since one of the charter bases of the catamaran Lagoon 42 is based in Sibenik, you can start your journey discovering Sibenik archipelago. Sibenik is located in an area with a lot of islands and islets, making the chartering even more special and interesting. Islands as Zlarin, Kaprije and Zirje are nearby and shouldn't be missed. 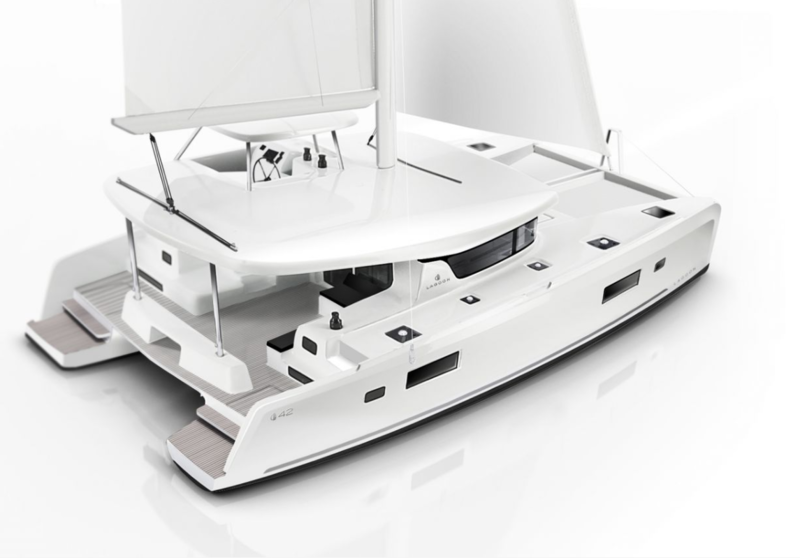 The Lagoon 42 exhibits her style and a strong personality. Her performance is a function of the strength of design as well as meticulous construction. 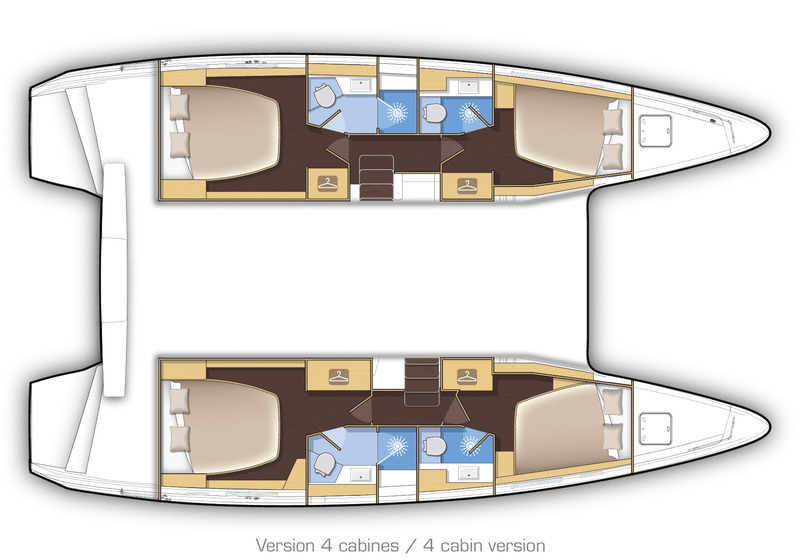 The lines of this good-looking boat were drawn by VPLP and Patrick le Quément, while incorporating all the distinctive Lagoon features: vertical windows, single-level cockpit and saloon, integral deck hatches and ergonomic helmstation. 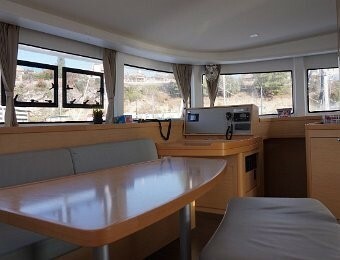 Part of the Lagoon 42 fleet is equipped with air condition (salon), generator and/or heating. Check out Lagoon 42 price list and our excellent early booking offers and book you favorite boat now! Take advantage of these limited-time catamaran charter deals. The 42’s cockpit layout is truly innovative! The space provided between the single level saloon, the aft crossbeam and the various sunbathing areas is unprecedented on this size of boat. Easy to move about: wide sidedecks, many handrails. The cockpit and saloon are on one level. 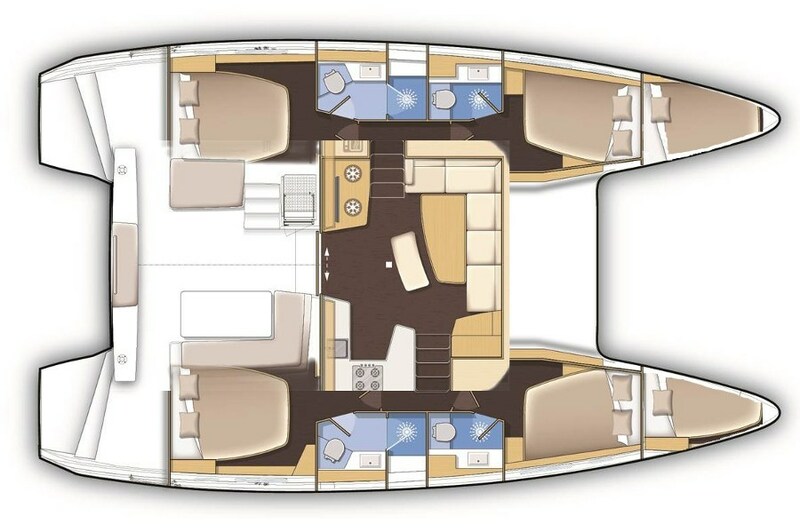 Functionality is the watchword in the 42’s saloon: a generous dining able capable of accommodating all the guests on board. A fully equipped galley. The sliding door between the galley and the cockpit.